you look pretty with this clean defined eyes! I'm so in love with the design of the bottle! I'll definitely have to try this eyeliner out. It's so affordable! that is the cutest packaging of eyeliner i've ever come across! That is the cutest eyeliner packaging EVER! woww, cute packaging!!! love it !! This is the cutest packaging ever! 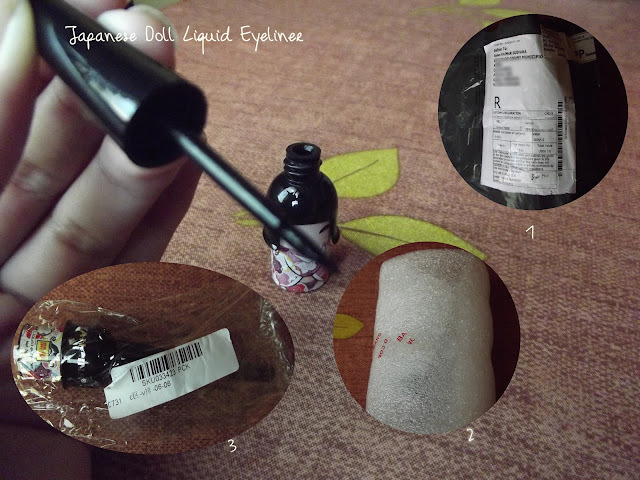 Wow super cute dolly liquid eyeliner! This eyeliner is great and so nicely presented. Oh! Great eyeliner! I love it! I've followed you if you don't mind haha.